Paul Theroux has spent the past fifty years roaming the globe, describing his encounters with remote people and far-flung places in ten best-selling travel books. Now, for the first time, he explores a part of America—the Deep South. Setting out on a winding road trip, Theroux discovers a region of architectural and artistic wonders, incomparable music, mouth-watering cuisine—and also some of the worst schools, medical care, housing, and unemployment rates in the nation. 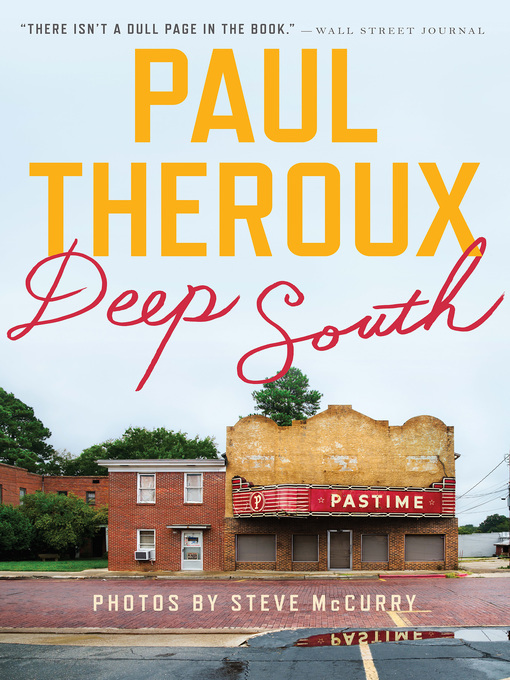 Yet, no matter where he goes, Theroux meets the unsung heroes of the South, the people who, despite it all, never left, and also those who found their way home and devoted their lives to rebuilding a place they could never live without.